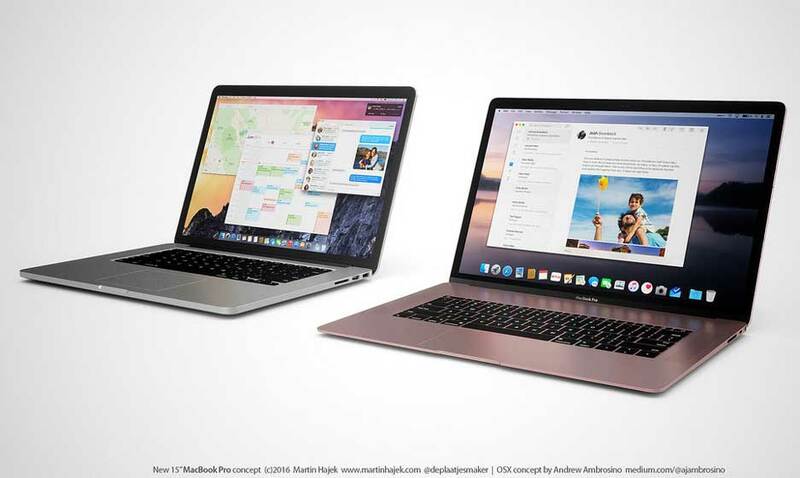 The 2016 MacBook Pro is one of the most anticipated computers, but there have not been many details yet regarding its release. However, the Apple MacBook Pro 2016 is still expected to be launched within the year and it will also feature powerful specs. According to reports, during the iPhone 7 event that occurred earlier this September, the technology community was anticipating some announcements for the 2016 MacBook Pro as well. However, there may be a possibility that more details will be revealed about the computer next month. The biggest change is likely to be in the Pros’ processors, and while there are rumors of detachable touchscreens we’d take them with a hefty pinch of salt. Intel’s new Skylake platform is expected for inclusion and offers the usual performance improvements — boosting CPU speeds by 10 to 20 percent, and integrated graphics chips by 16 to 41 percent — but also continue a trend towards efficient power use, thanks to smaller 14-nanometer architecture. In laptops, switching to Skylake could add as much as 30 percent more battery life. As for the design of the upcoming Apple MacBook Pro 2016, there are rumors that it will contain an OLED touch display and it will be located just above the keyboard. The latest rumors suggest that it will follow the iPhone 7 and come without a headphone jack. Touch ID is also rumored to be introduced in the Apple MacBook Pro 2016 in addition to a trackpad that will be made compatible to the Apple Pencil. The SSD options for the computer may possibly be 128GB, 256GB, 512GB, and 1TB. The new MacBook Pro event is expected in October 2016 and will feature very significant changes since it has been almost four years without an update.